Quinn and Fox is one of those companies that always goes the extra mile, and then some. 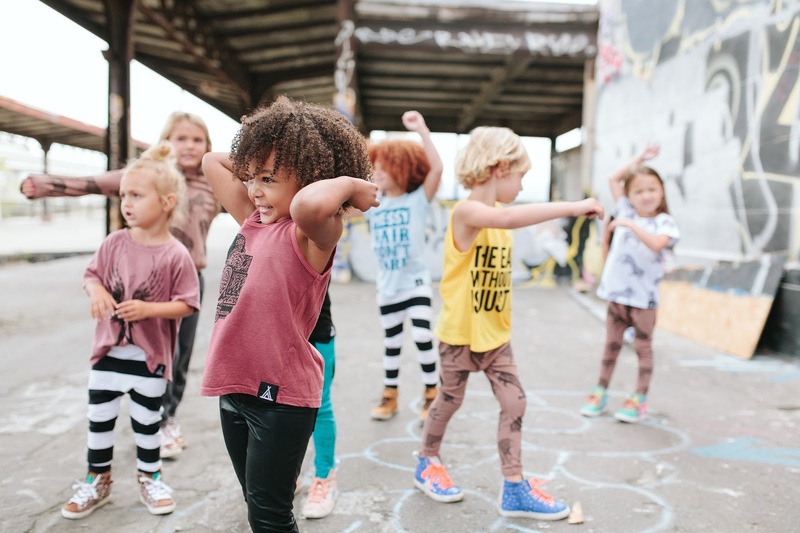 Children's clothing is everywhere, but, it can be challenging to find kids clothing companies that are not only passionate about great design, but also about great quality. And to top that, it is even harder to find businesses that really care about HOW their clothes are produced, and the impact it has on the earth and on those producing it. 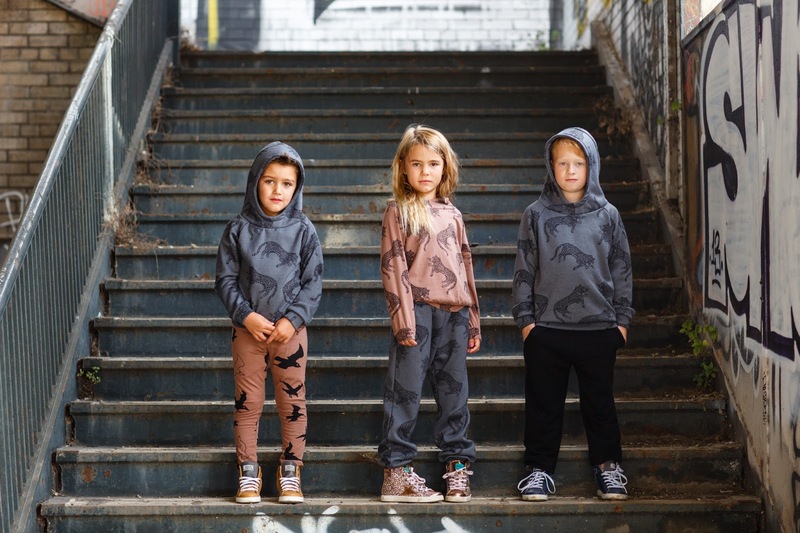 Quinn and Fox isn't a huge corporation, they are a Husband and Wife/ Mum and Dad duo that work so very, very hard to ensure AMAZING quality and ethically produced children's wear, that highlights global artistry and they produce some of the coolest kids clothing on the market!! I love that they are so passionate about how their clothing is produced. I love that it is not made en masse in a sweatshop in India on China, or bought pre-manufactured, but their clothing but is actually milled from scratch in the USA from Organic cotton, and recycled materials and hand dyed with low impact eco-dyes. 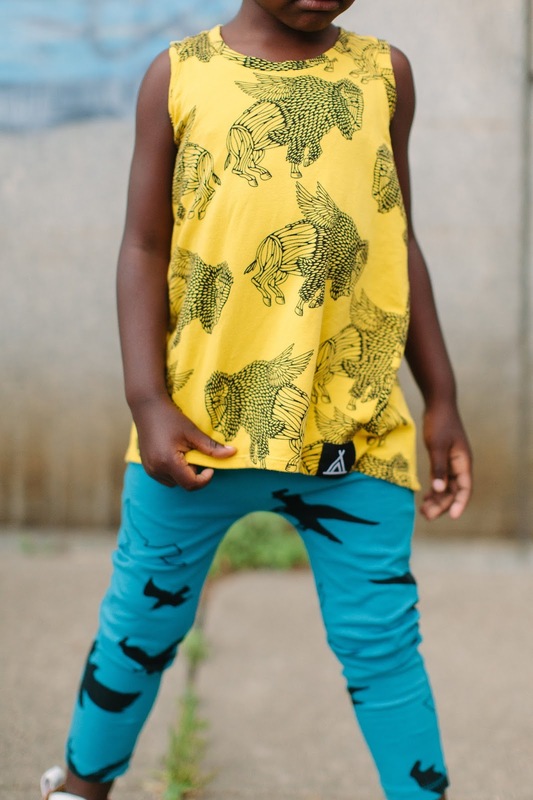 In a world where ethical clothing is hard to find/source, it obviously takes a lot of passion and hard work to produce a clothing line of this calibre, that is made for children, not by children!! 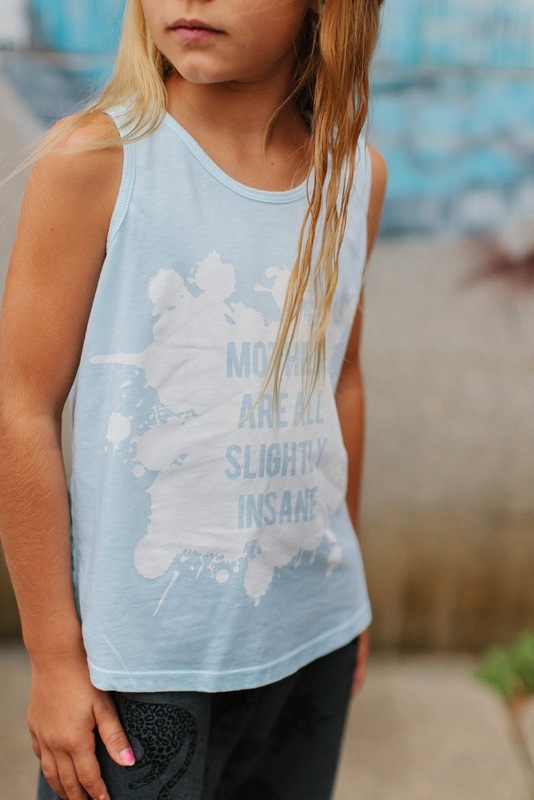 I am constantly inspired by their commitment to producing ethical, organic and seriously amazing clothing for kids! Quinn and Fox are bold, mod and always unisex!! 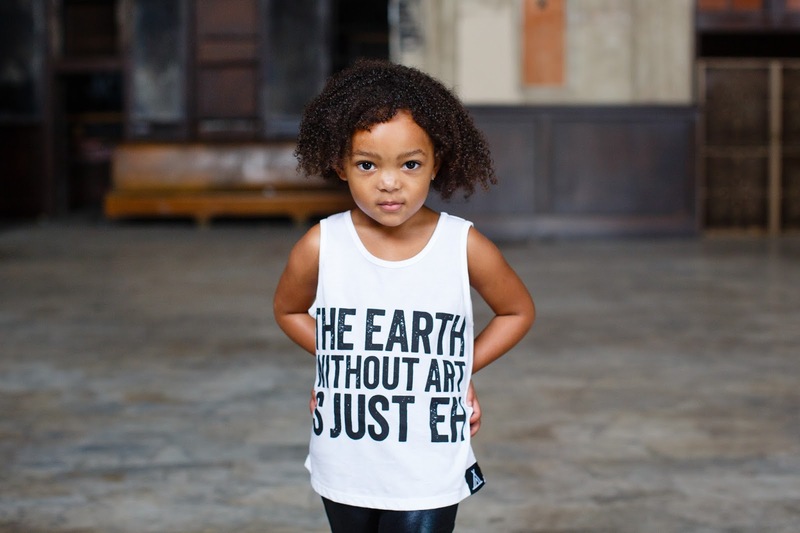 They are the epitome of globally inspired Children's wear! 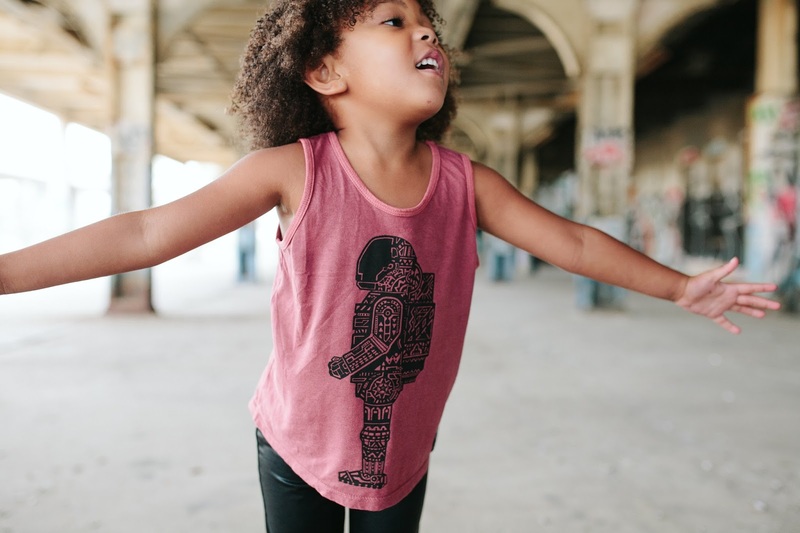 This collection is about paying tribute to Rock and Roll and how they want to teach their children. 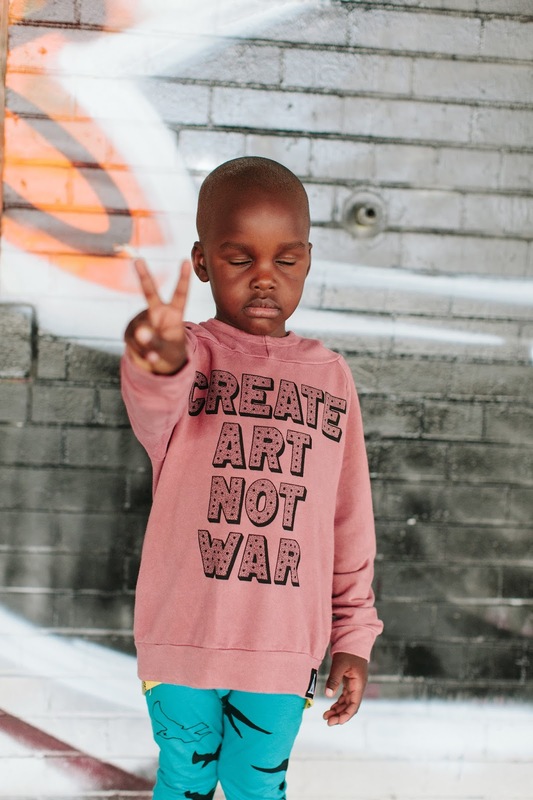 Create Art, Not war. Promote Peace. Silence is sometimes the better answer. A way to remember the past, for our future. 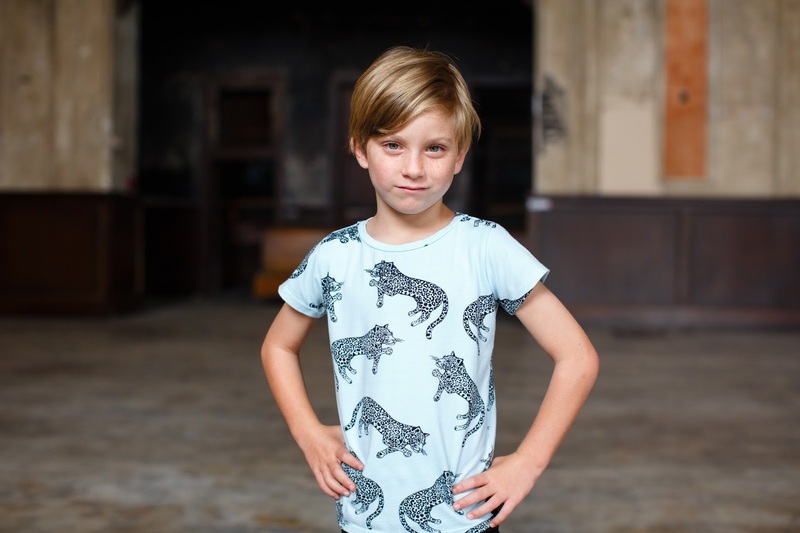 You can find Quinn and Fox's New SS15 The Blackbird Collection which launches Tuesday 17th Feb at Yellow Dandy, an Australian stockist, and trust me, this is a collection you do not want to miss out on.